René Fonck was born in France on 27th March 1894. On the outbreak of the First World War he joined the French Army but in early 1915 he transferred to the French Air Service. He flew with an reconnaissance unit on the Western Front and it was not until April 1917 that he became a fighter pilot. Flying a Spad S.VII, Fonck soon developed a reputation as an excellent shot. On two separate occasions he shot down six enemy aircraft in a day. A pilot who did not take unnecessary risks, Fonck had scored 75 victories by the time the war ended in November, 1918. René Fonck died in June 1953. (1) René Fonck was France's most successful fighter pilot with seventy-five confirmed victories. After the war he wrote a book about his experiences called Ace of Aces. On 26th September 1918 I obtained permission to take off. That date marks one of the toughest days of my fighting career. I remained in the air from morning to night, and if my machine gun had not jammed, I would have added eight planes to my credit. Our infantryman had advanced several kilometers and menacing Boche patrols were flying above them. The first patrol that I attacked consisted of five Fokkers. Without giving them the time to work out by signals their plan to attack me, I dived into them at full speed, guns blazing. Letting myself then fly on my wing, I turned over completely in order to rocket up behind one of the planes which had already fired at me. 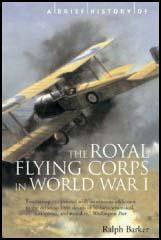 But I had also had fired, and two of the German aircraft crashed to earth in the vicinity of Somme-Py. The others, fearing for their safety, had thought it more prudent to take to their heels. I then gained altitude and saw in the direction of Suippes an enemy plane being fired at by our own anti-aircraft artillery. I headed there at full speed and reached it at an altitude of 18,500 feet above Perthesles-Hurles. With the first burst that I fired at 30 yards, the observer was killed. The defenceless pilot became frightened and his vertical dive was so sudden and steep that his companion, whom I had just sent off to join his ancestors, toppled overboard and almost fell on me at the moment of me finishing my loop. I must admit, an odd feeling at suddenly seeing a body falling in space. The corpse, like a sack, dropped down and little by little seemed to shrink as it approached the ground - but I did not have time to analyze my feelings; it was necessary to fight and win. Without further delay I charged again. Through a sudden bank, I caught the enemy plane under the tail and sent a few incendiary bullets through his fuselage. A little later, while I expected to see him in flames, one of his wings broke off and the plane came crashing down to the ground.